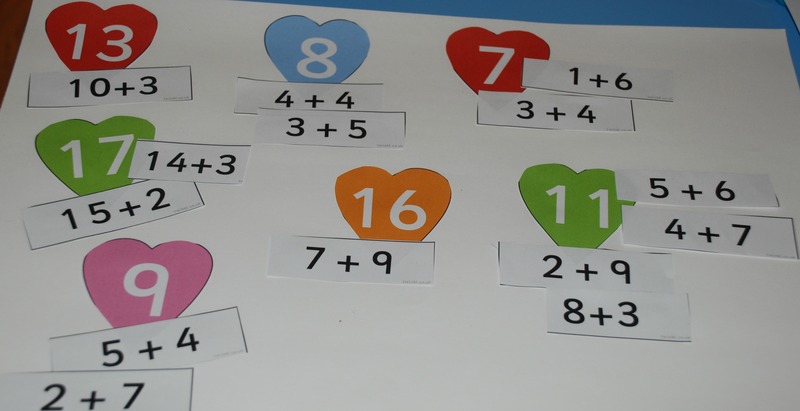 I love this Matching Heart Maths Activity from Twinkl (it is part of their platinum package). We have used it in a number of different ways and my daughter still seems to enjoy it. 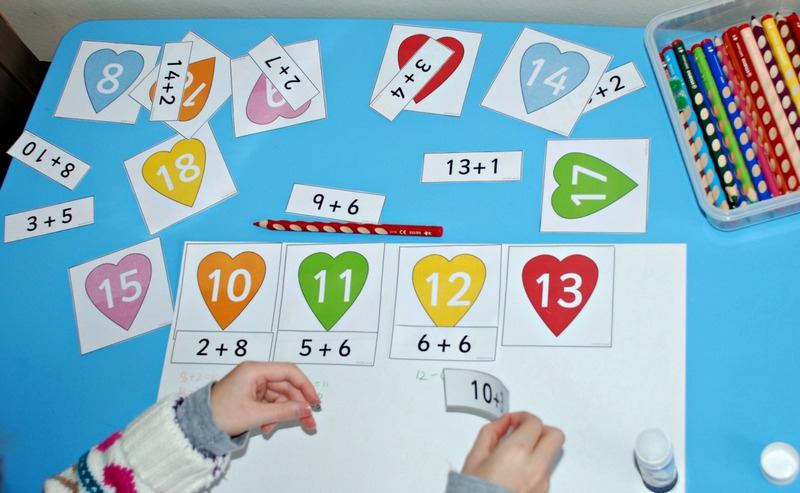 You can use it as a straight forward matching activity, possibly combine it with a simple sensory bin – something like what we did with the matching Stars maths or you could use it more as a cut and past type activity. Last year we did a simple cut and past number bond type poster with it. My daughter actually ended up adding some of her own sums. We actually had the mini posters that she made up on her notice board for some time and she used it to double-check some of her sums. Recently we used the exact same pages as a way of turning our addition sums into subtraction sums. This is something that my daughter has struggled with in the past but she has been very determined to work on it and keeps asking me to write out more sums for her to practice with. I thought by using the hearts we could make it a bit interesting for her. 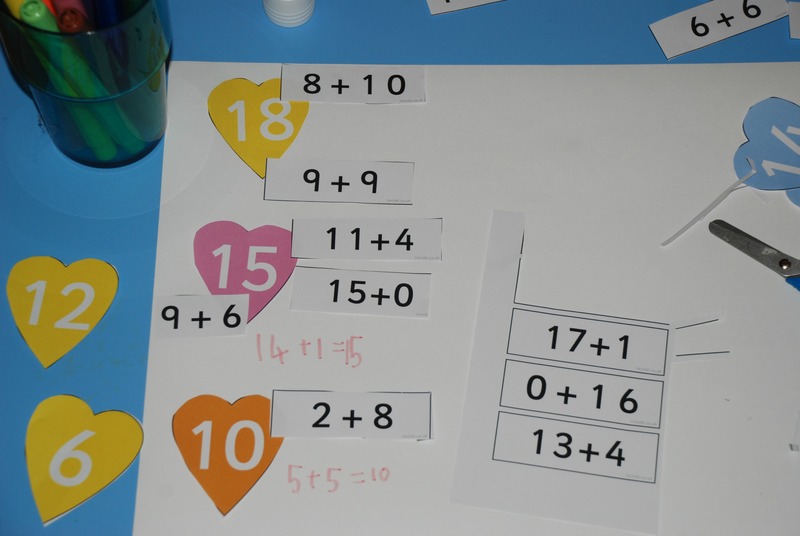 We started off by cutting out some of the hearts and for each number we choose one sum which we stuck directly under the heart. 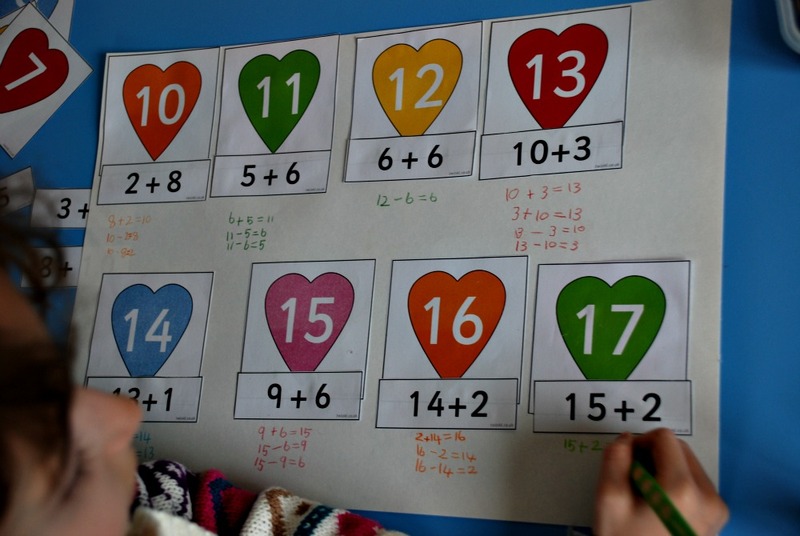 For each heart she would then write out what the other addition sum would be and what the two subtraction sums would be. A simple way or reinforcing the inverse relationship between addition and subtraction but a more interesting way than just doing page after page of sums. 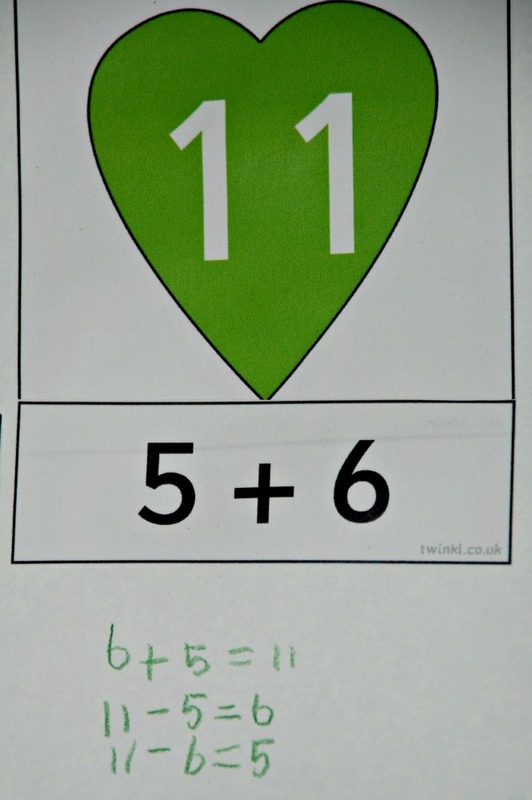 This entry was posted in ks1 maths and tagged addition and subtraction, Heart maths, home ed, homeschooling, ks1 maths, Twinkl. Bookmark the permalink.